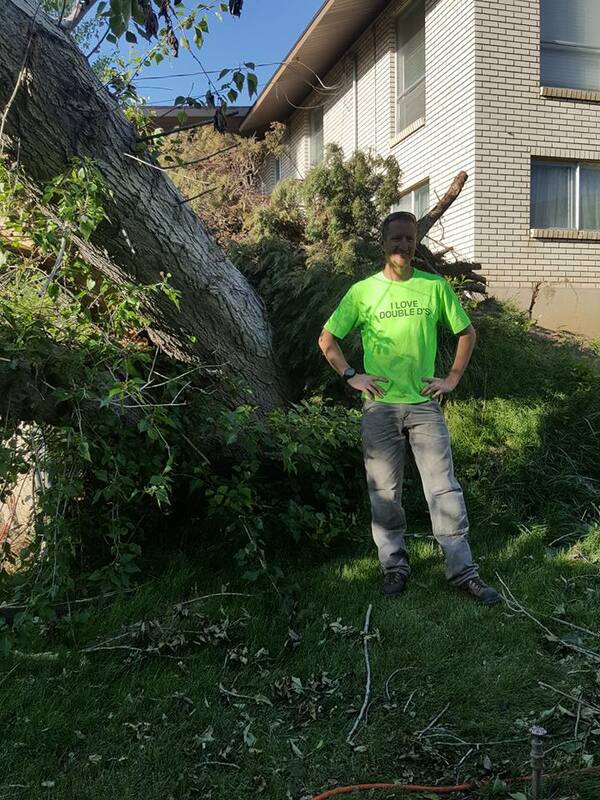 Double D’s Tree Service is a company based out of Northern Utah that serves both residential and commercial customers. We seek to provide exceptional, safe, trustworthy service that property owners appreciate and can depend on. Double D’s Tree Service was established in May 2014 by Professional Tree Faller-Climber/Entrepreneur David Brizzi, who is the Chief Owner and Operator, and Arborist in training. Dave gained a love for hard work as a young child working on farms, where he learned to use a variety of farm equipment, chainsaws included. As a young adult he continued to gain experience through his service fighting wild land fires. It was there he became certified as a tree faller, and continued to expand his love for hard work while gaining experience and skill fighting fire and dropping trees all over the western United States. Dave later expanded into the residential/commercial arena where he was mentored by exceptionally talented tree service providers. After a few years he made the decision to go out on his own, He strives to uphold the commitment to excellence passed down to him from his many teachers and mentors. Reviews written by our clients are rife with comments on the high quality, professionalism, honest pricing, and friendly, knowledgeable service they have been provided by Dave and his crew. All are values our company strives to provide. Double D’s Tree Service believes in the value of proper tree care. We will always take the time to educate our customers on the overall health of their trees, and proper tree removal/pruning procedures in order to gain the best possible outcome for the trees, while achieving the desired outcome for our customers. Double D’s Tree service currently provides services such as tree removal, trimming, planting, stump grinding, and snow removal. We also have fire wood for sale, and hope to very soon sell natural wood chip and wood chip mulch as well. And don't forget, we provide emergency services 24/7. Our goal is much larger than being one of many companies who provide exceptional tree service. Our long term goal is to establish a permiculture farm, where we plan to use the wood chips provided by Double D's Tree Service. Because they are a renewable and sustainable source of energy we plan to use them to heat our greenhouses and enhance our process of developing a self sustainable farm and community garden, They truly are an invaluable resource. Once the chips have decomposed down to mulch and been mixed with the abundant animal manure on the farm they can then be added to the mineral soil to create nutrient dense topsoil, perfect for growing the very best produce possible. We look forward to the day when we can invite you all out to enjoy the fun, food and community that only the joy of hard work, dirty hands, and abundant farm fragrance can provide!